The Future of Insurance Websites? Let's face it. Insurance has always been a rather dull subject, with equally drab insurance websites becoming the norm. But not anymore! In this blog post we take a look at four surprisingly on trend insurance websites that are working hard to change the game. In a world where stunning web design is increasingly become the norm, particularly for the massively coveted ‘millennial’ demographic, it’s great to see firms of all stripes raising the bar. What’s the web design like? Neos incorporate their hexagon logo throughout their website, the colour scheme and visuals are clean and aesthetic, making each page an easy read. Interactive images are used as a way to prove instantly to the customer how technology can improve their lives in terms of insurance. This is a smart website for a smart insurance provider. In my mind, the best feature is the websites interactive phone on its homepage. This makes it super easy to see how the app works. It’s a creative way to get the message across that technology makes insurance and therefore your life much simpler. It’s not hard to find gadget insurance - there’s tons of firms offering insurance to protect man's new best friend - a.k.a; your phone! 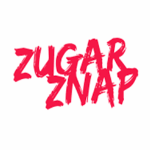 But Zugar Znap has a very different feel, and this is obvious from its social media interaction - particularly its Instagram account. A company that provides insurance simply because ‘#stupidhappenz’. This is a trendy website that uses bright pop art colours to appeal to the inner child in all of us, or more specifically, millennials. Stupid is as stupid does, and Zugar Znap are there to help when you does. Hands down, the best feature is its fun page of #stupidhappenz, where you can view stupid things in action. It shows really well that the company has a fun side, which no doubt helps to drive more engagement with its targeted audience. Try keeping your paws off this site! Waggel hasn’t launched its pet insurance product yet, but be sure to get your paws ready for when it does. Waggel are aiming to be a rewarding pet insurance provider. A friendly-type of insurance company! A bright and energetic site with cute visuals that really puts a smile on your face...seeing happy pet cartoons really does make your tail ‘waggel’. Their website uses lots of images and pet pictures that makes this among the friendliest places to visit in the big and sometimes confusing world of Insurance. Waggel’s best feature has to be the visuals. The graphics really do fit with the information presented and give the site a very warm and friendly vibe. Out with the old, and in with the new, that’s the message Sherpa want us to get, and we get it, loud and clear. This is a new breed of company getting ready to launch, with a rather ambitious plan to give customers control over their policies. 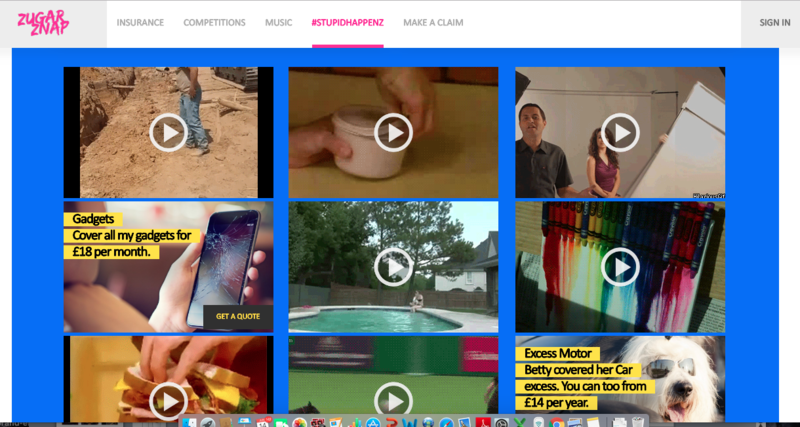 Their website uses words crossed out to make it clear they are offering something new and different to what has been done before… A simple and powerful approach to communicating a ‘big idea’ which certainly isn’t the way to go about buying insurance today. The bright colours and clean transitions make it feel modern and vibrant, but crucially, relatively easy to understand. Perhaps Sherpa can change the world of Insurance for the better, only time can tell, but the website is a solid step on this journey. The websites best feature is its use of visual word play. A simple cross is easy to understand, needing no explanation. Many of you will know that Smart Money People lives with a mission of increasing trust and transparency in financial services, and with voting in our Insurance Choice Awards kicking-off on the 2nd July, we can’t wait to see how the newer kids on the insurance block get on. Will you be voting? Joe is a Copywriter and Graphic Designer at Smart Money People. Joe is passionate about engaging customers with creative ideas that not only make them feel their reviews matter, but show that they do.